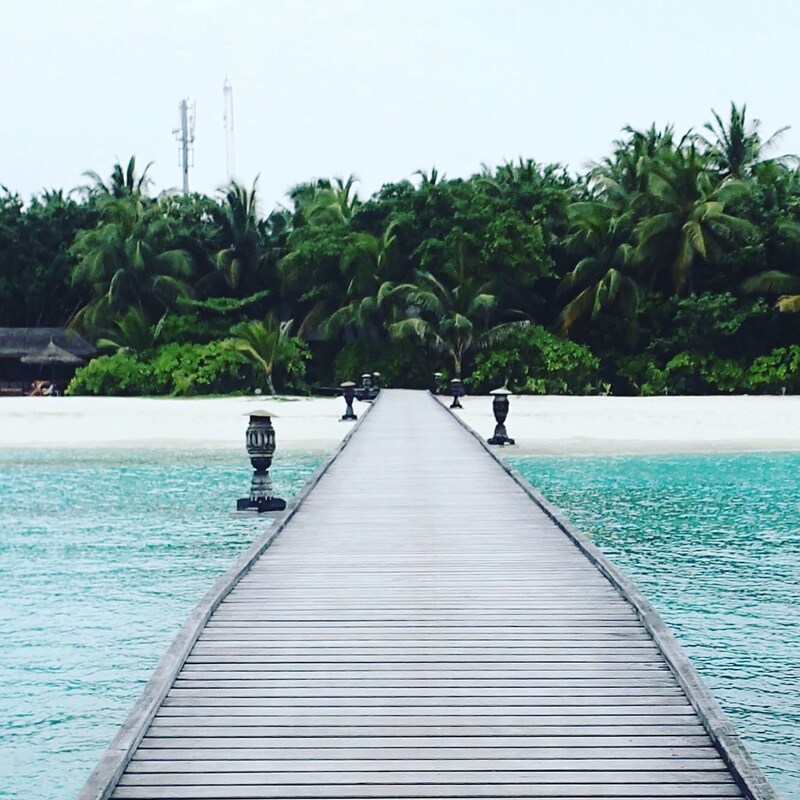 Reethi Beach Resort is heaven on earth. 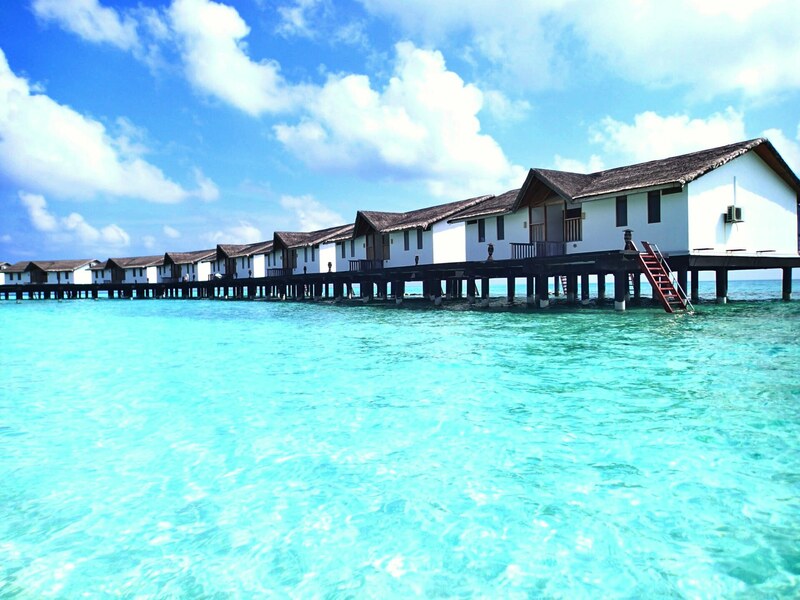 If I could live anywhere in the world, it would Reethi. 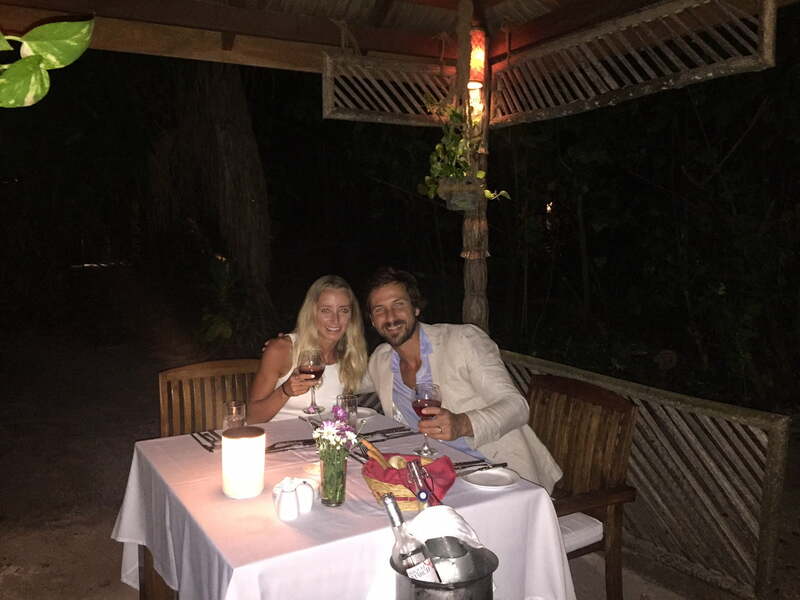 I’ve been fortunate enough to travel to Reethi beach three times with my husband; first in 2013 for my honeymoon, then in 2014 and 2016. Each trip was beyond amazing! 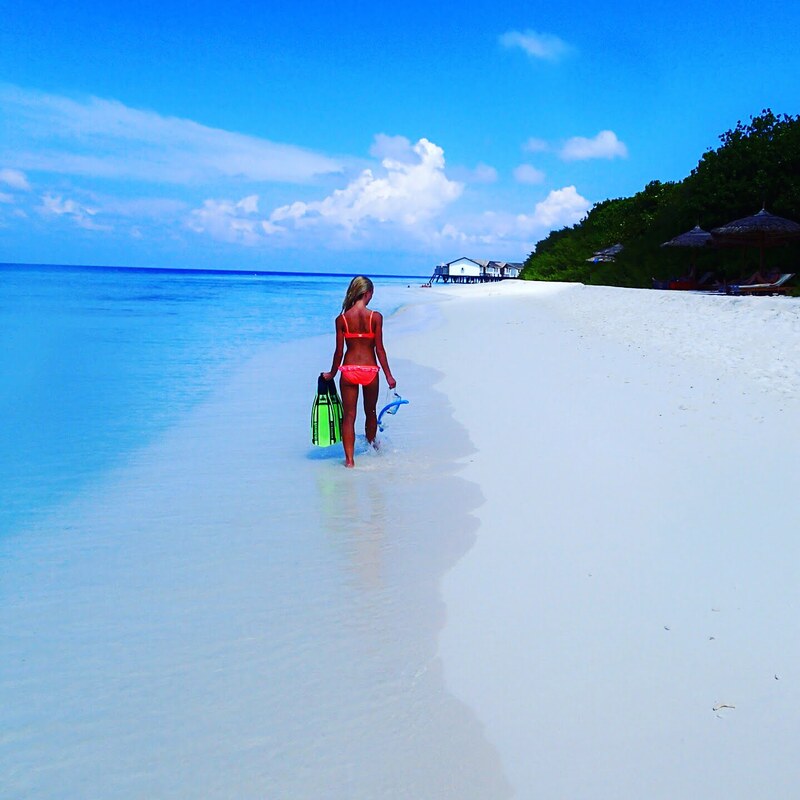 From it’s relaxed, tropical island vibes, consistent warm temperatures, crystal clear waters & stunning coral reefs with amazing sea life, to it’s incredible food, amazing workout facilities & exceptionally kind staff, Reethi Beach Resort is absolute perfection. 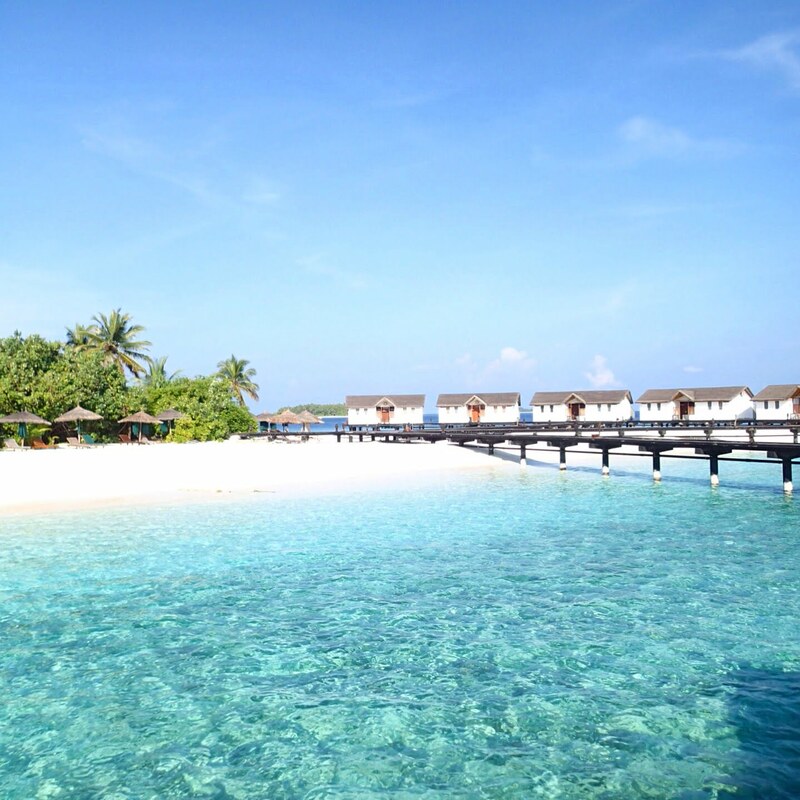 Reethi Beach Resort is located in the Baa Atoll in the Maldives (in the Indian Ocean). 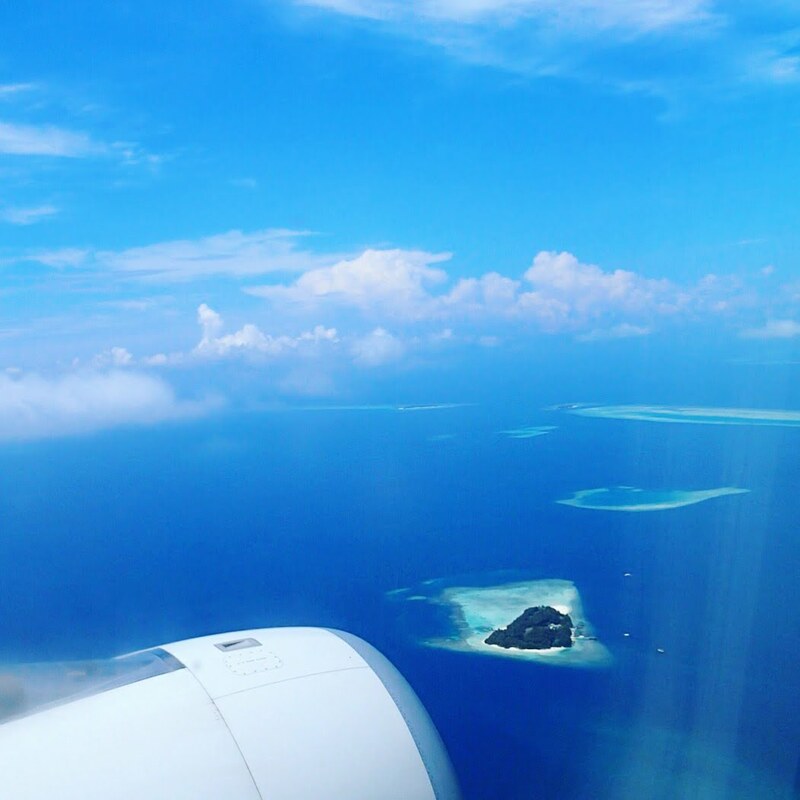 It’s a quick & incredibly stunning seaplane flight from Male, the capital of the Maldives. 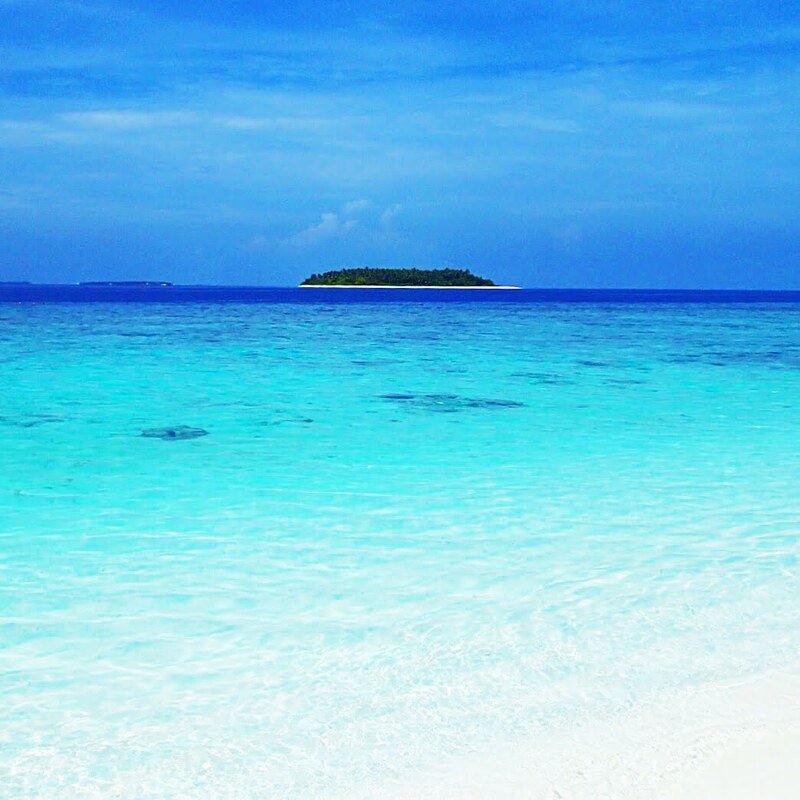 Reethi Beach island (aka Fonimagoodhoo Island) itself is tiny, only measuring just 600m by 200m. 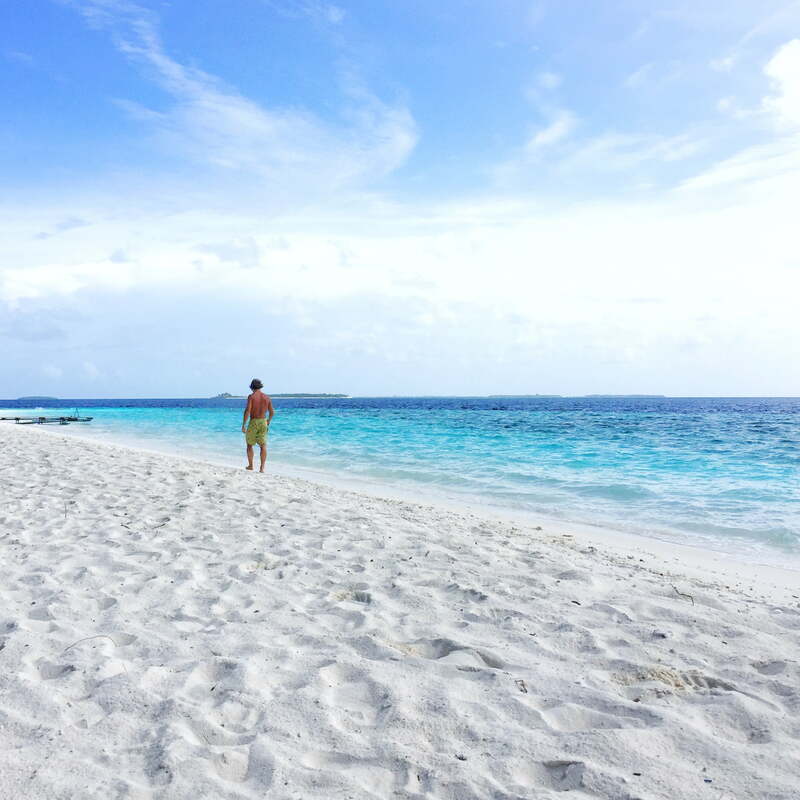 It has a beautifully soft, white sandy beach that surrounds lush, tropical palm-tree jungle foliage with sandy paths that winde through it. 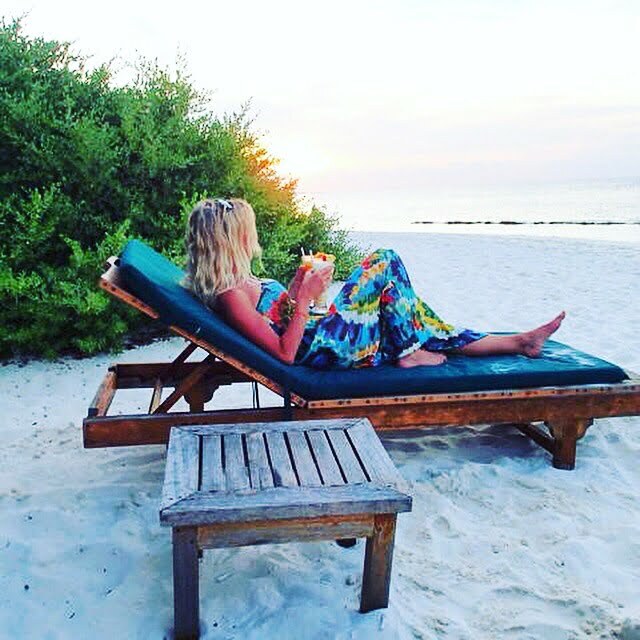 Reethi is the perfect mix of natural first class elegance and relaxed beach vibes. 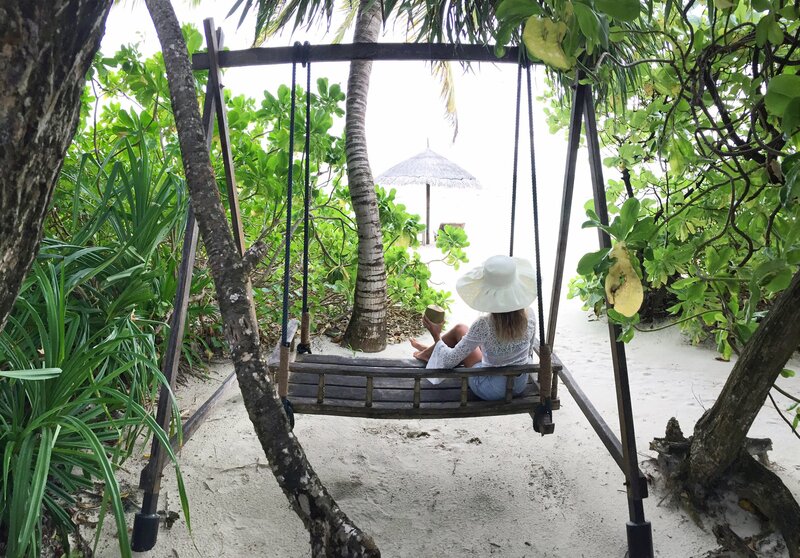 Our days are spent at Reethi enjoying the natural beauty of the island. 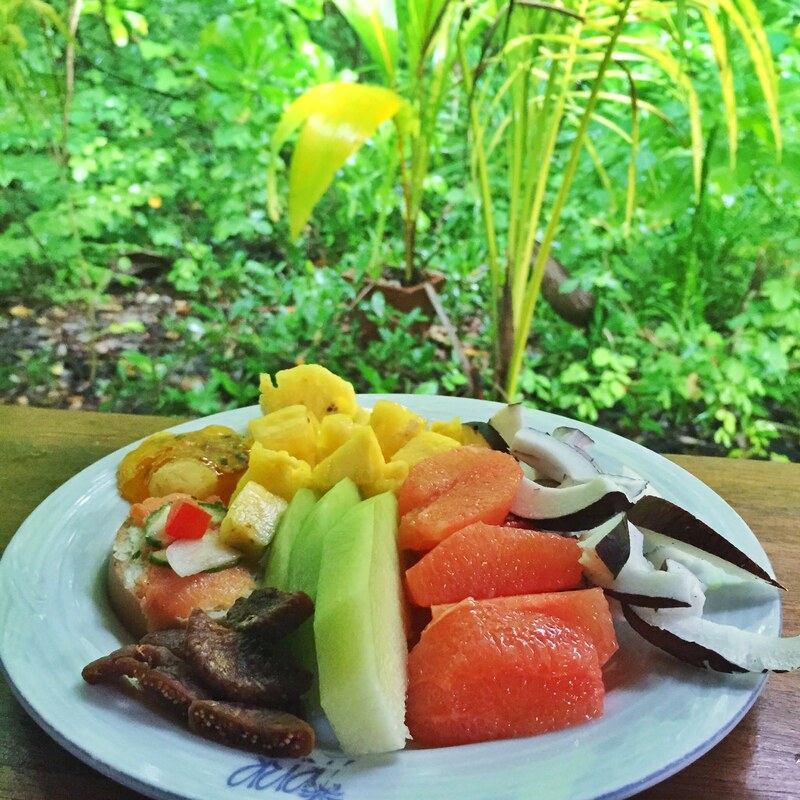 We wake up at sunrise for an early morning beach run, followed by a swim & then an amazing buffet breakfast full of the most delicious and fresh, tropical fruit. We then go snorkelling for at 4 hours in Reethi’s House Reef. 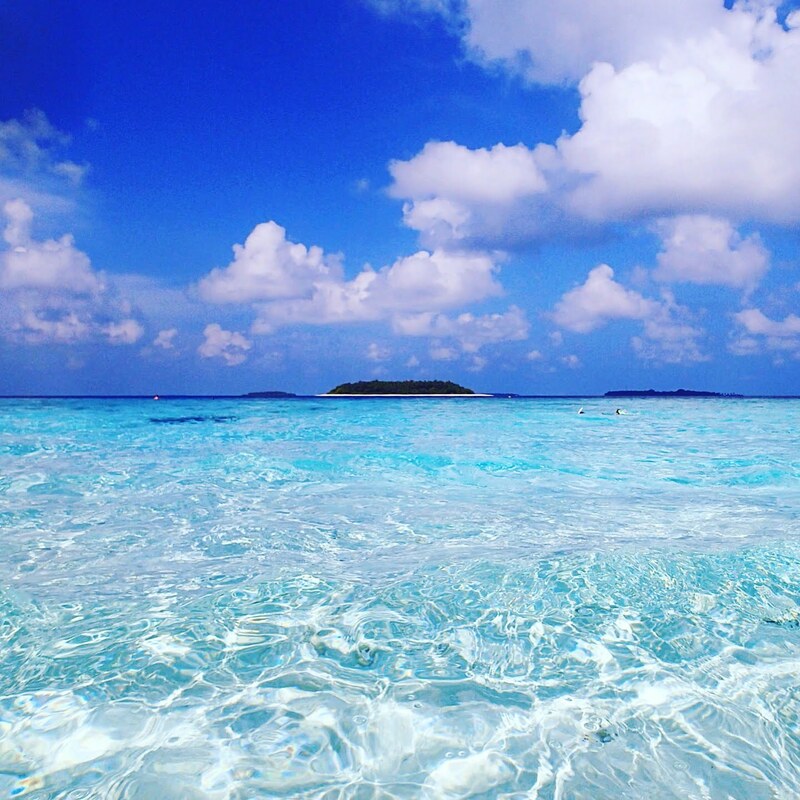 Reethi is well known for its amazing coral reef and tropical sea life & I can’t explain how amazing it is! 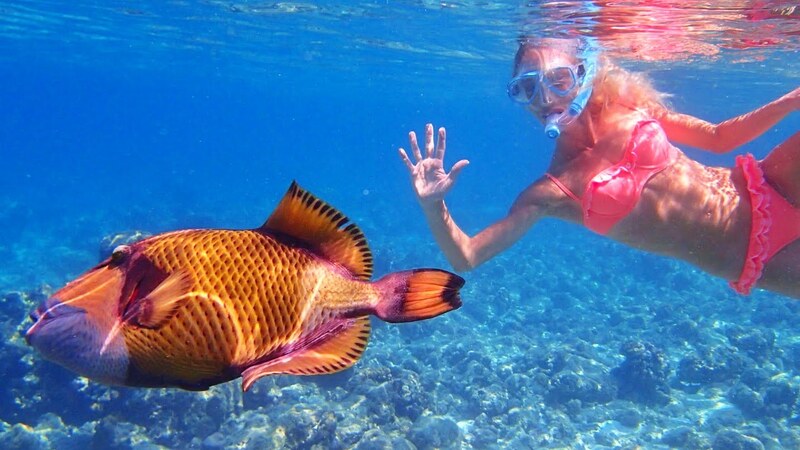 We have snorkelled with so many different types of sea life; from turtles to octopus, rainbow fish & mantas, to reef sharks & eels. 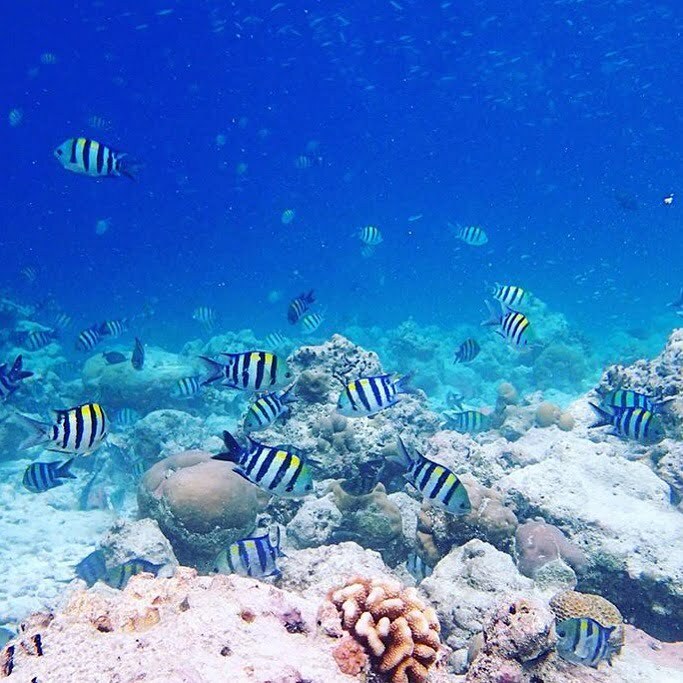 Here are some snaps of Reethi’s incredible underwater world. 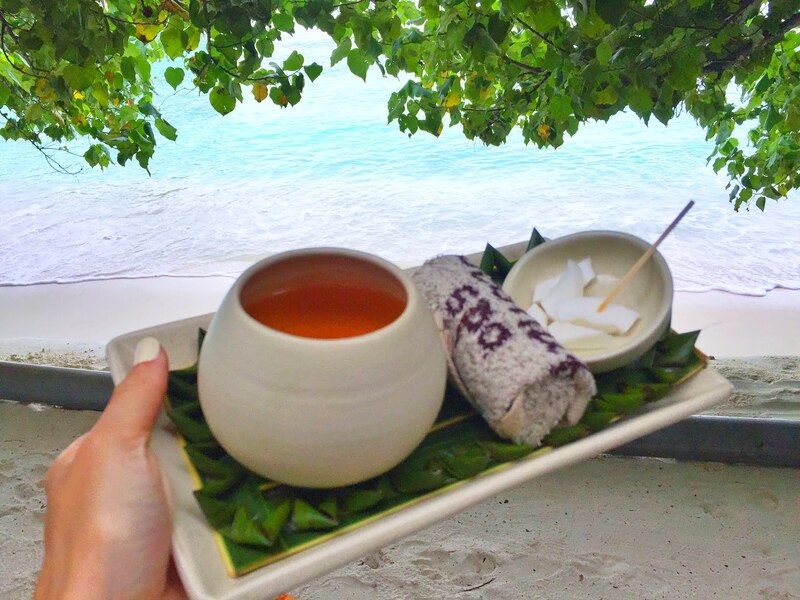 After snorkelling, we usually hit up Modu Bar, a beautiful overwater restaurant, for a coffee. 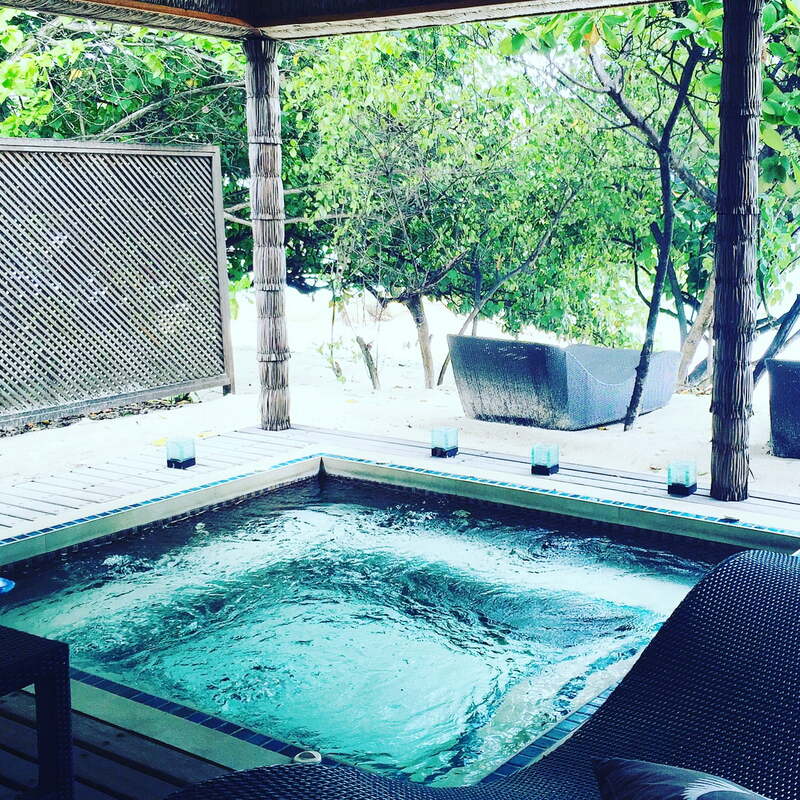 Our afternoons will then be a mix of some tennis or squash, a gym session (Reethi has a fully equipt gym!! 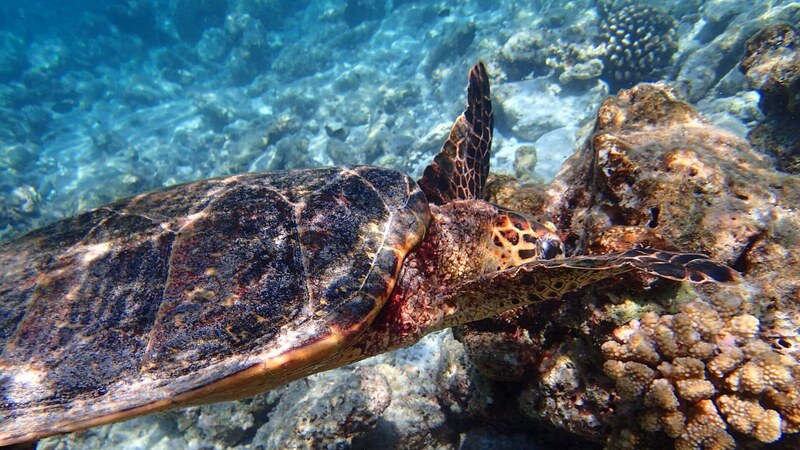 ), a water excursion or some more snorkelling. 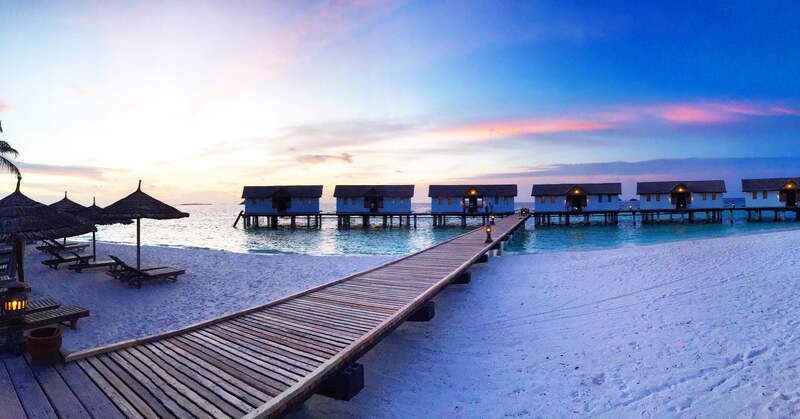 We’ll then relax with a massage at Coconut Spa or having a delicious cocktail at one of Reethi’s Island Bars while watching the sunset. 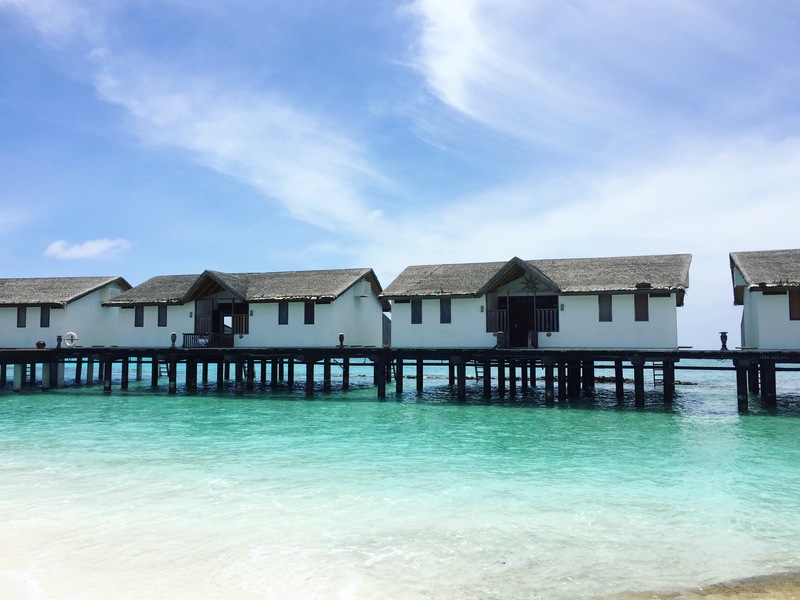 We’ve stayed in both the Deluxe Villas and Water Villas (overwater bungalows). Both are stunning & spacious with their own perks. 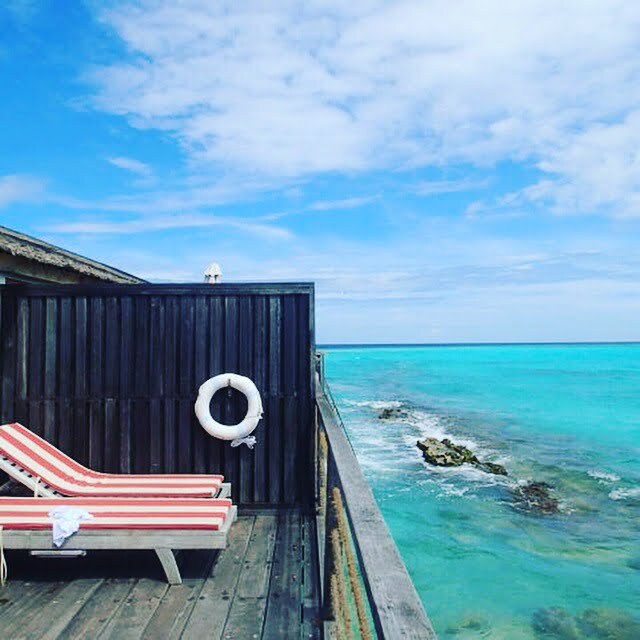 The Deluxe Villas have an outdoor shower & private swing while the Water Villa are built on stilts over the sand and water and you can climb down your own private ladder into the crystal waters ocean full of tropical fish & sea life. Both are serviced twice a day and with the natural spraying of the island, you can truly live indoor-outdoor at Reethi as there are no flies or mozzies. 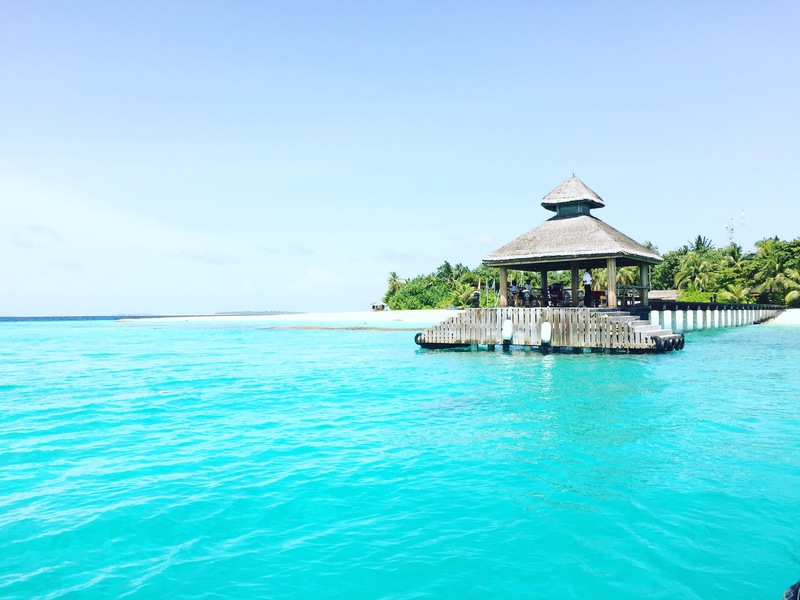 Reethi Beach Resort has five restaurants and five bars. 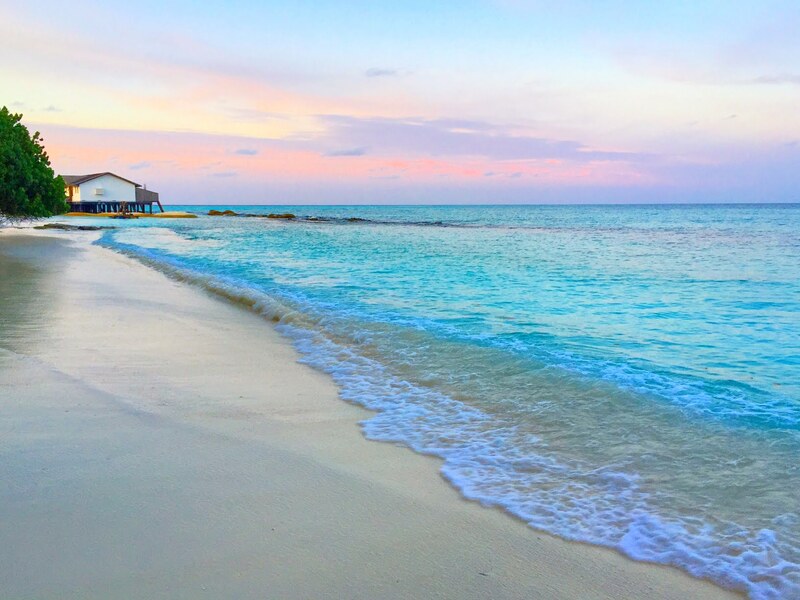 My favourite is Rehendhi Restaurant, which is the buffet restaurant. We eat at the buffet breakfast and dinner here almost every day! It has the most incredible first class food I’ve ever eat! 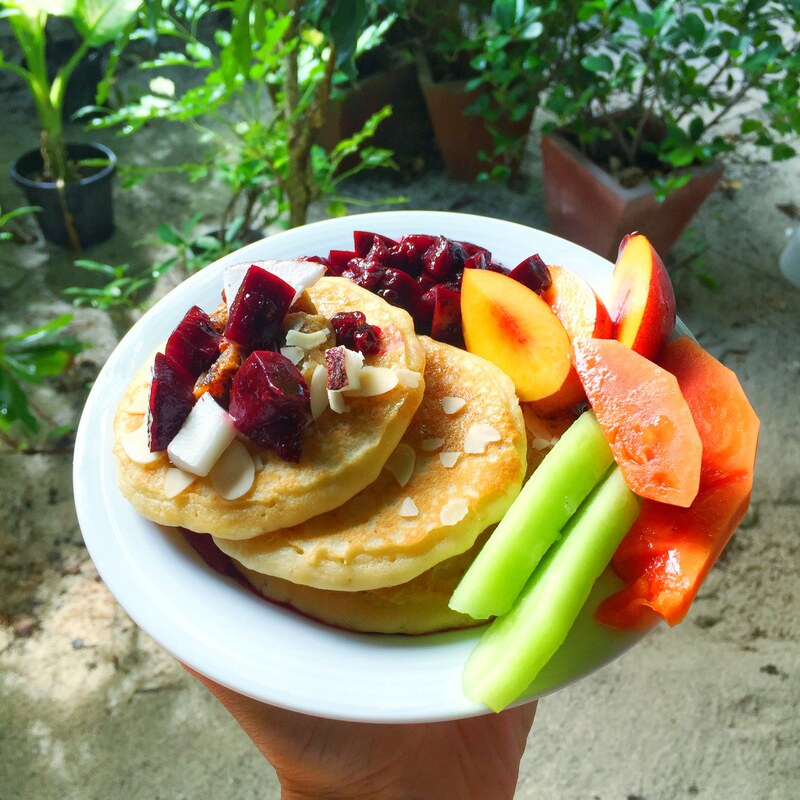 It’s always fresh with so much variety and so many healthy options! 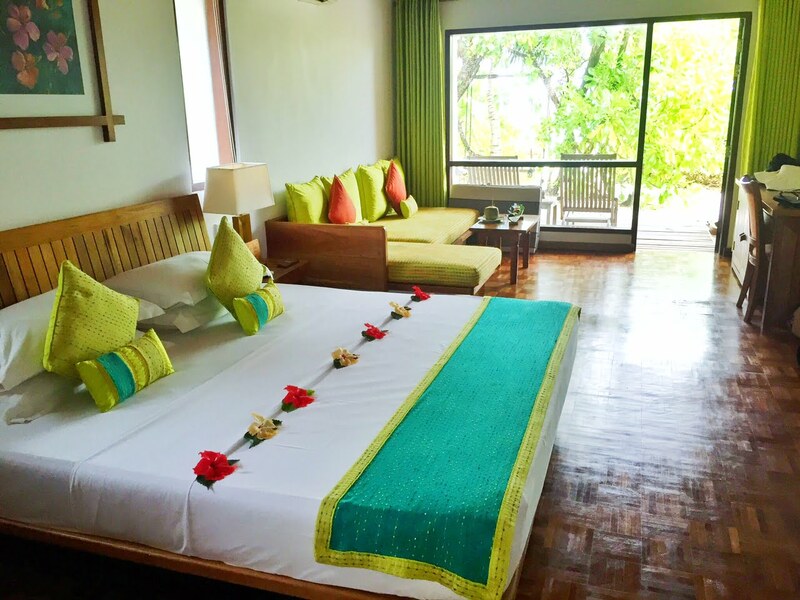 It also has stunning views over the gardens and water & is so relaxed with a barefoot policy. 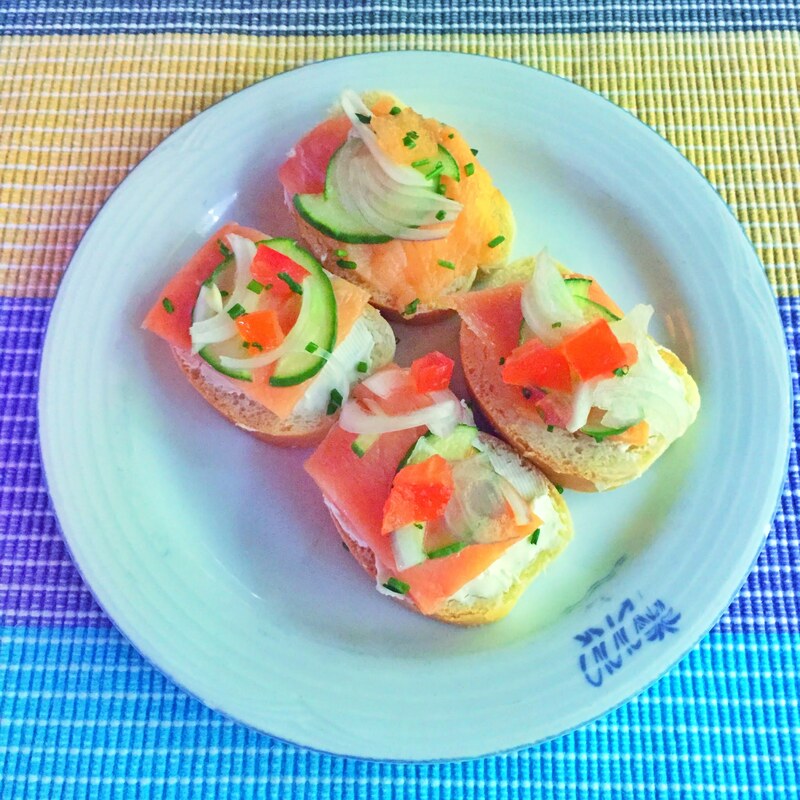 The buffet dinners have a different ‘theme’ each night & you can view the full menu here. I also love Reethi’s Saima Garden Restaurant. 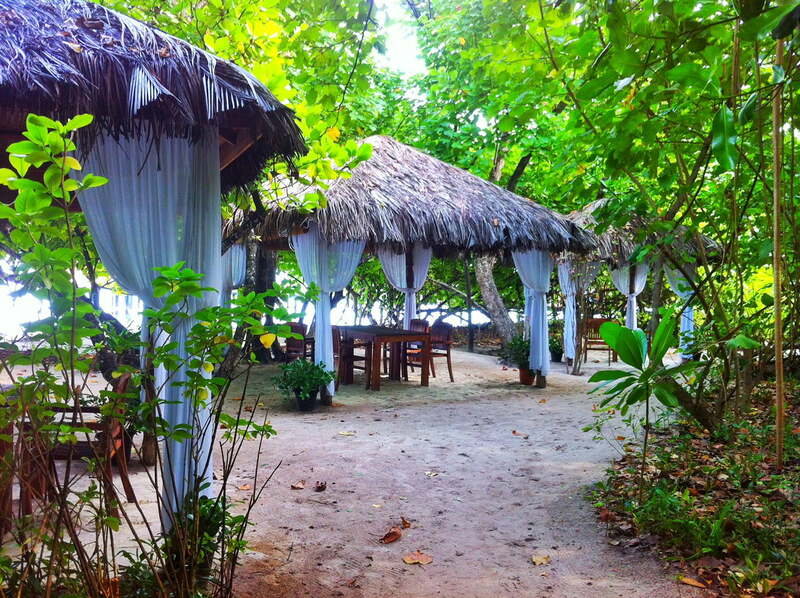 It’s an exclusive & romantic boutique-style restaurant on the sand. Each table is private and it’s perfect for special celebrations.